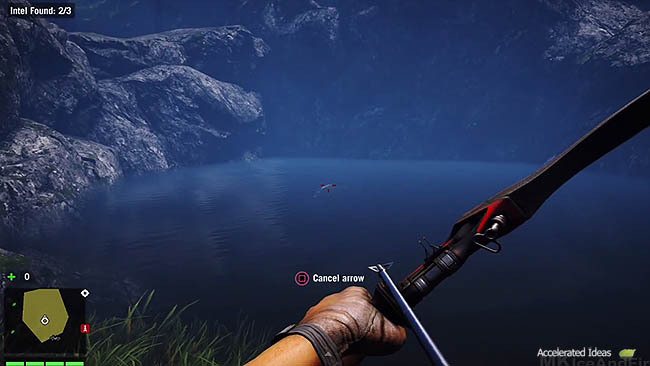 Similar to other games in the FC series, crafting is an important mechanic in Far Cry 4 that lets you create new items, some of which can be further upgraded into better gear. There are a variety of items that you can craft including medicine from plants and bait bags from animal hides but all of them require raw ingredients to craft. In this tutorial I'm going to detail all of the craftable items in Far Cry 4 including a guide to help you understand the raw materials needed to create each of them. Any fan of Far cry will tell you that it takes patience to hunt down the animals you need to create better gear and accessories. Some of the rare animals can only be found by attempting higher level missions and quests which are unlocked as you take down more Outposts and Radio Towers. Aside from craftable items, there are also temporary ability buffs and health restoration syringes which can be crafted from plants. Syringe Kits give you a limited number of Syringe slots to carry Syringes on your travels. You'll need to unlock the particular Skill in order to craft different types of syringe such as the "Hunter Syringe". Tip: One of the most important skills is learning how to use your knife and bow effectively. Both of these weapons will help you collect additional skins thanks to "clean kills". Rather than picking up a single skin you'll collect double per kill, making it much faster to upgrade your gear. Avoid using your guns unless absolutely necessary. First, let's take a look at the various animals in the game and help you collect the hides necessary for upgrading your items. 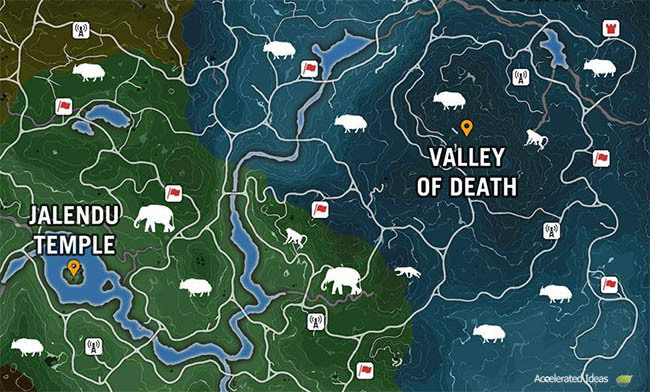 The offline Far Cry 4 map contained markers for some of the animals you'll encounter in Kyrat but it didn't include all of the animals, especially rare animals whose hides are used for crafting and upgrades. Players must kill animals in order to collect their Hide but be prepared because although most animals will run away, others will fight you to the death! As you liberate more Outposts and Bell Towers you'll remove more of the "Fog" from the map, which in turn reveals the location of animals in the nearby area. You can move the cursor over the animals to see their name and set a way point for a hunting trip. The video below shows the location of all animals hidden behind the fog in the South of Kyrat. Includes Clouded Leopard, Bear and Pigs. Pause the video and make a note of the X and Y co-ordinates...then go hunting! Auto crafted from two green plants. Health syringes are slightly different to the other unlockable syringes such as Focus, Survival and Hunting. Health syringes are automatically crafted whenever you pick up 2 green plants. To recover health you either use one of your health syringes, which is the default action, or you will perform first aid on yourself if you don't have any crafted. The health syringe counter is located near the bottom left side of the screen, shown by a little green plus icon and a number indicating how many you have (see image above). Using a health syringe is much faster than fast aid and it leaves you less prone to attack during the healing process. Crafted from Blue and Red plants. The Hunting Syringe is unlocked via the Elephant skill tree (blue). Using this Syringe will highlight enemies and animals for 30 seconds. The Level 2 version of this Syringe will make your virtually silent and animals won't attack you or flee unless provoked. Crafted from Blue and Yellow plants. The Focus Syringe must also be unlocked via the Elephant skill tree (blue). Using the Syringe will help you run and swim faster, and also let you breath underwater for longer. The effects last for 30 seconds. The level 2 version of this syringe is probably one of the best, it makes it much harder for enemy weapons fire to hit you when you are moving. Crafted from Red and Yellow plants. The Survival Syringe will reduce physical (melee) damage and the chance of being knocked down by an enemy. The Syringe must be unlocked via the Elephant skill tree and it's effects last for 30 seconds. The Level 2 version of this syringe will reduce the damage you take from weapons fire. Crafted from White and Purple plants. The Overdose Syringe is a gamblers favourite. Although it will let you deal double damage you'll also become susceptible to double damage yourself. The Syringe is unlocked via the 3rd row of the Elephant skill tree and it's effects last for 30 seconds. There are a variety of items to craft in the game and all of them follow a similar pattern with size being the typical upgrade path. The more you upgrade, the more you can carry of a certain type of item. The lower level upgrades require common animal hides but usually the final upgrade will require a Quest Item which can only be acquired by completing the associated Quest. Carry more weapons by crafting a larger holster. Each successive upgrade will give you an additional weapon slot enabling you to carry up to 4 weapons at once. More weapons means more firepower but it also helps you avoid ammunition shortages. When you start the game you'll only have 2 weapon slots. If you want to carry more money then you should craft a larger wallet. Without a large wallet you'll have to spend money when you reach the limit before you can earn any more. This forces you into buying things you don't really need and also prohibits you from buying the most expensive items later in the game. Loot bags provide more space to carry loot, with each successive upgrade giving you additional slots in your inventory. Loot can be sold to vendors for cash so having an ample number of slots means you can loot more from dead animals and people without needing to sell it first repeatedly. The Syringe Kit is used to hold syringes which provide health restoration and other temporary ability perks. Upgrading the kit will give you more slots to hold more syringes. With more slots you can carry a variety of temporary buffs including health restoration, combat enhancements and hunting buffs. 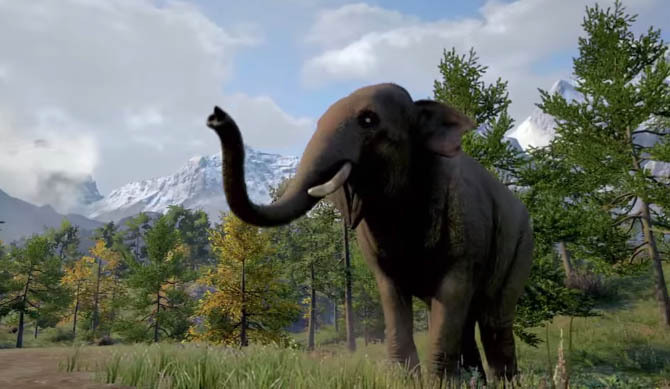 In Far Cry 4 you can use bait to tempt animals into certain areas and let them cause havoc in enemy locations. The larger your bait bag the more bait you can carry. Using bait is one of the sneaky tactics introduced in the game for a varied take on Outpost destruction. Running out of ammo is never a good thing so upgrade your ammo bag to avoid those embarrassing situations. Grenades and throwing knives are two types of Throwable item. Upgrading the Throwables Bag will let you carry more of these types of items in your inventory. 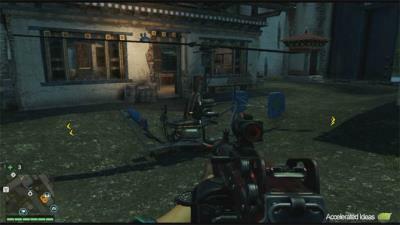 C4 and Mines are just two of the explosives featured in Far Cry 4. They're a hell of a lot of fun so upgrading your Explosives Bag will help you carry more of them. Besides your smaller weapon, Heavy ammo plays an important role against a tougher enemy. Upgrade your heavy ammo bag to carry more of your strongest arsenal. Upgrade the Quiver to hold more regular arrow quivers and go on longer silent killing sprees.